Due to my woefully slow comic updates these days, I thought it might be fun to post some very early sketches of Trixie’s Tales. Please excuse the poor quality as I do not have a working scanner and had to snap a photo of a sketchbook page with my iPhone. Still, very funny to look at now. Hope you’re staying warm and seeing the sun every once in a while. 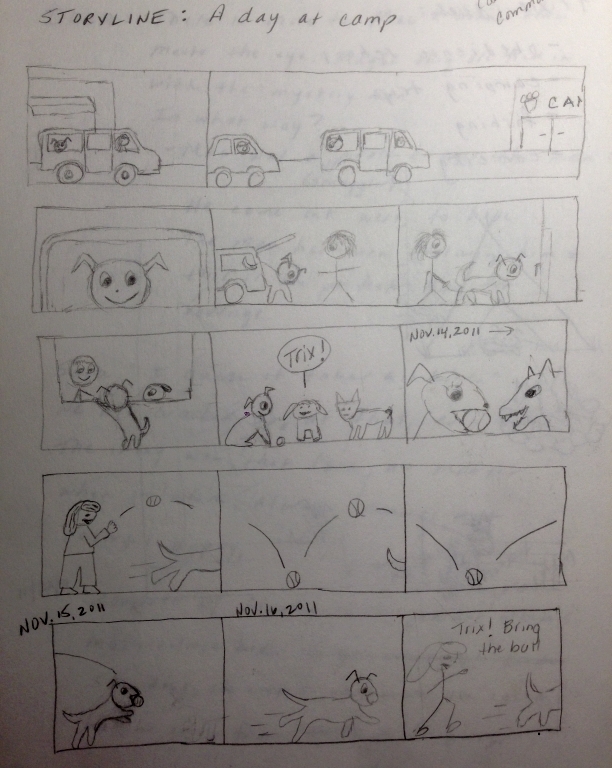 This entry was posted in Blog Update, Comics and tagged dogs, Trixie. Bookmark the permalink. Right on! I love it. Put a smile on my face.